We know what your ramp up to Thanksgiving is like: The scouring Pinterest for the best turkey recipes. The never-ending grocery runs and lines. The day of can be just as hectic. There’s the last minute cleaning, the all day cooking. At some point the kiddos have to get a bath. Wait. Where are the kids? Your arms are covered in cranberries and all you know is that it’s suddenly, alarmingly, quiet. Or maybe you’re in the opposite boat: You know exactly where the kids are. Each is wrapped around your ankles, making strength training an item to mark off your to-do list. With all of the commotion, we can help! We can’t cook but we do rent and ship laser tag guns to you. We have guns that are so easy all you have to do is turn them on and put them in the child’s hand. You won’t see them again until the batteries have died (we send replacement batteries so you don’t even have to put them on your shopping list). Once the meal has been blessed and every one else is in their turkey-coma, pull those laser tag guns back out and let the kids run free. All you need is a basement or an empty room. The boxes come with guns, batteries, instructions and a return shipping label. It is literally a party in a box. You can be thankful for a short time of rest and knowing your kids are having fun. We are so thankful for you moms across the US who have allowed us to be a part of your kid’s birthday parties that we want to give you a special promo code (thanksmom) for 14% off this Thanksgiving. This deal is for you that fall into the 2-day shipping time frame, so be sure to place your order today. 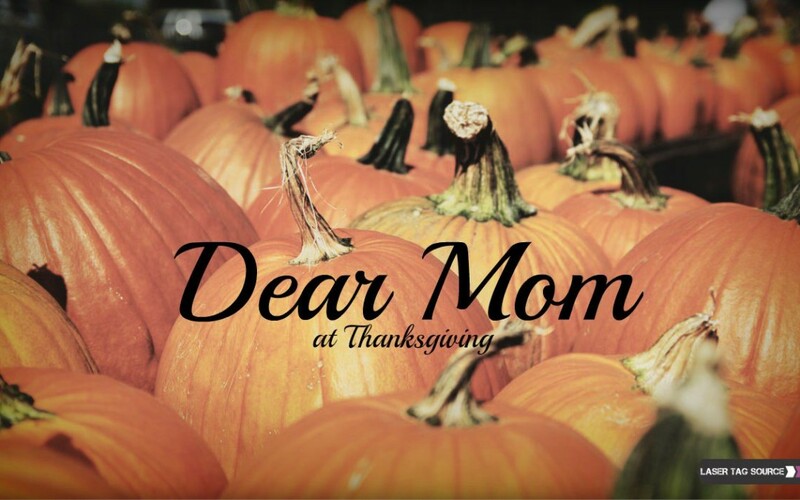 All of our orders ship Ground UPS and we want to get them to you in time so that we can celebrate Thanksgiving with our moms. From our families to yours, Happy Thanksgiving from Laser Tag Source!